Crystal therapy is becoming very popular now. It is a very relaxing therapy which also balances the chakras and helps to heal the body and mind. There are many chakras in the body but the 8 main ones are the ones we will be working on. These start under your feet and finish above your head. Chakras are energy centres and they contribute to the health and well-being of your body, mind and soul. These link the subtle energy fields of your aura (the energy field that surrounds the body) with the emotions, glands, organs, and physical body parts. To be well, your energy needs to flow easily around your body. If there is a problem of some sort, either emotional or physical, then energy is stuck somewhere in the body and needs to be released. Blocked energy will prevent one, or more, of your chakras from functioning efficiently. During a crystal healing, I will select certain crystals that are especially for you. This is done using my intuition and also a dowsing pendulum. This can determine which crystals are beneficial for you and where they should be placed for maximum benefit. These will be left on the body for a while and the client usually falls asleep. I have never done a treatment on anyone that managed to stay awake! It really is totally relaxing. The healing takes place while you are asleep. 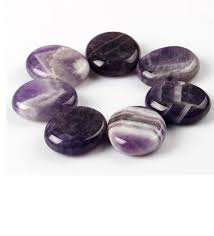 The energy from the crystals helps to release toxins and blocked energy from the body. Every crystal emits energy, which resonates with your energy and helps to heal you. As with all therapies, change is not always immediate. It may take a few weeks to feel the full benefit. For existing problems I would recommend three sessions at weekly intervals, then spacing them out as appropriate. Crystals were used in ancient times for healing and protection, but recently have not had the same popularity. However now they are becoming really popular again as people realise their huge healing potential.